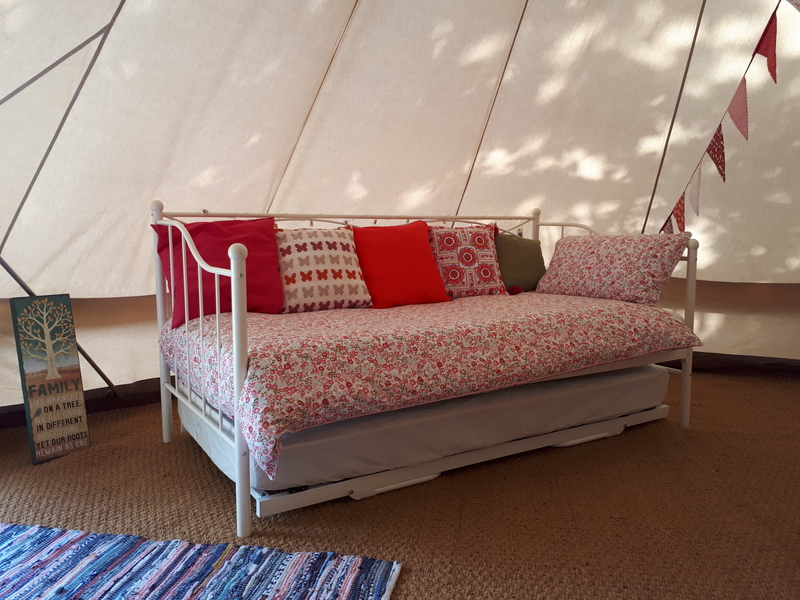 Nothing beats the creamy canvas of a bell tent – arguably the icon of the glamping world. 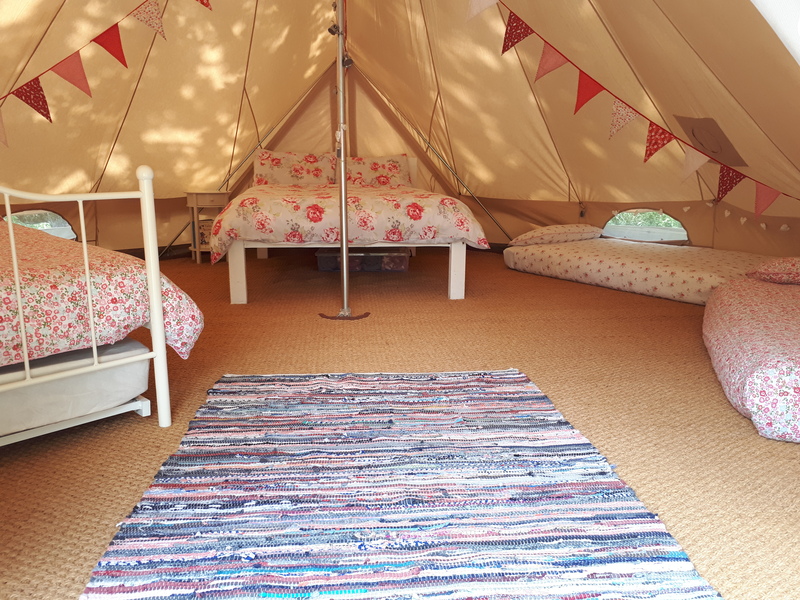 Closest in form to traditional camping yet able to be transformed into the utmost luxury, bell tents are a real glamping favourite and it’s easy to see why. 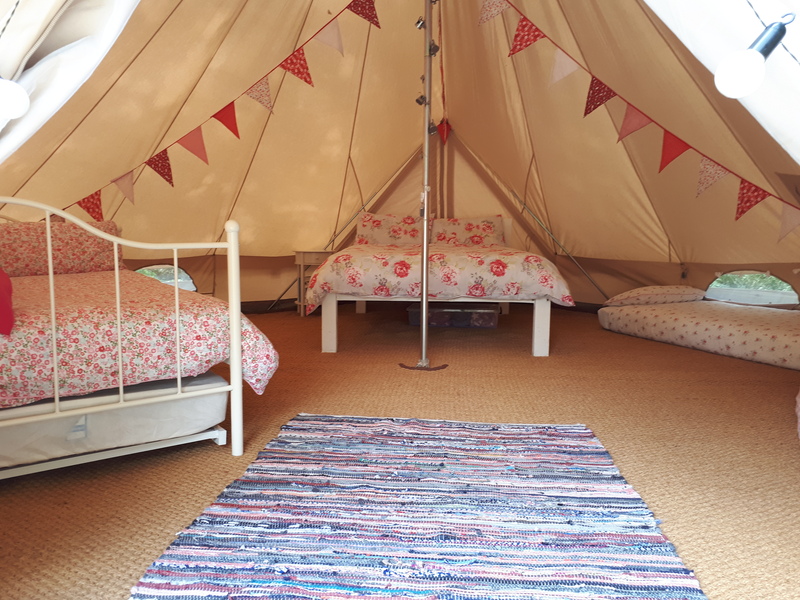 This bell tent sleeps up to 7 people. 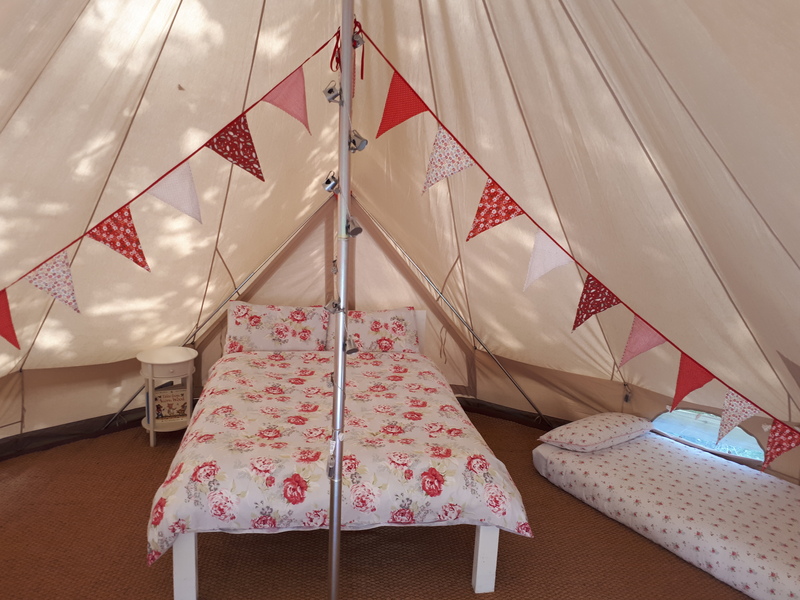 The accommodation consists of one double bed and 5 singles. 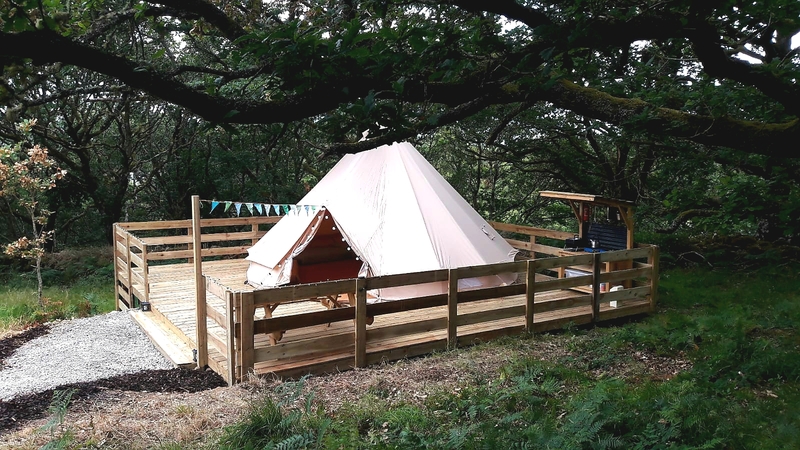 The tent is situated on a raised wooden platform near one of our old oak trees. 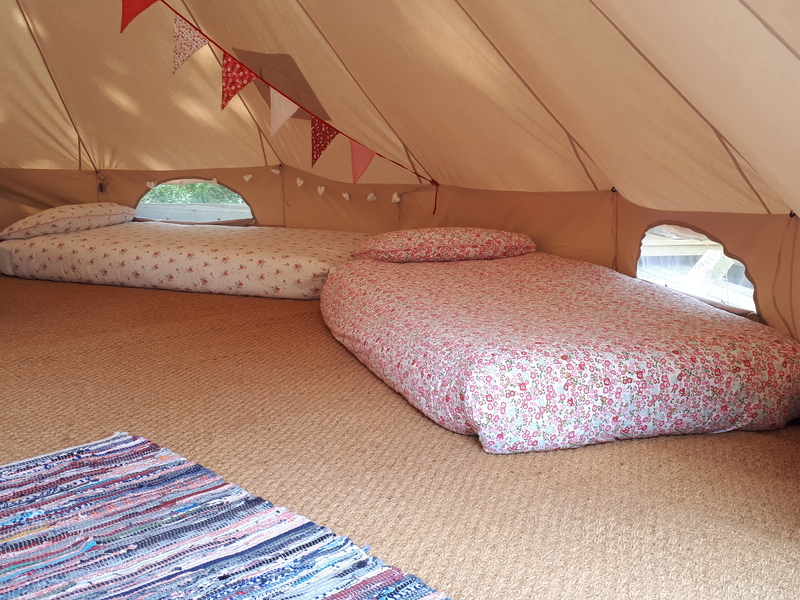 The floor of the tent is covered gorgeous natural flooring – the traditional coir floor matting is produced from the husk of the coconut. 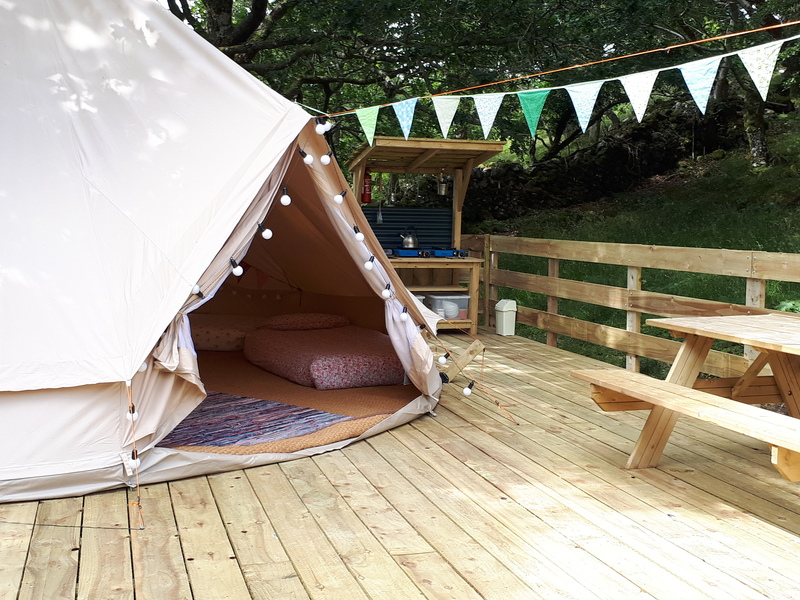 The tent is lit with battery operated and solar powered fairy lights at night and does not have electricity. All bed linen is provided. Please bring your own towels for showering. Prices: Adults €57 per night (For groups of adults, please contact us for a price).